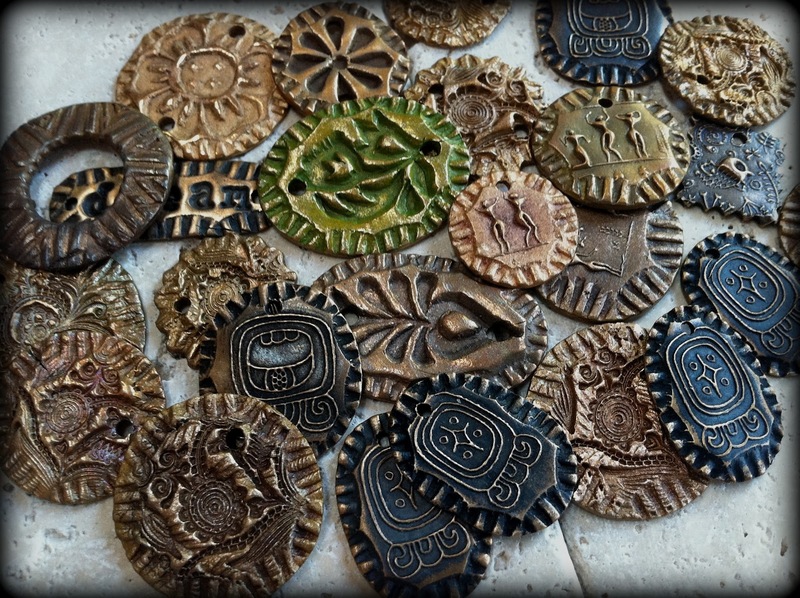 I have been VERY busy photographing and setting up listings...I am SO excited about these new designs. It is all about COLOR and TEXTURE. This is a quick sneak preview. Get ready to see these roll out in my shop over the next week. 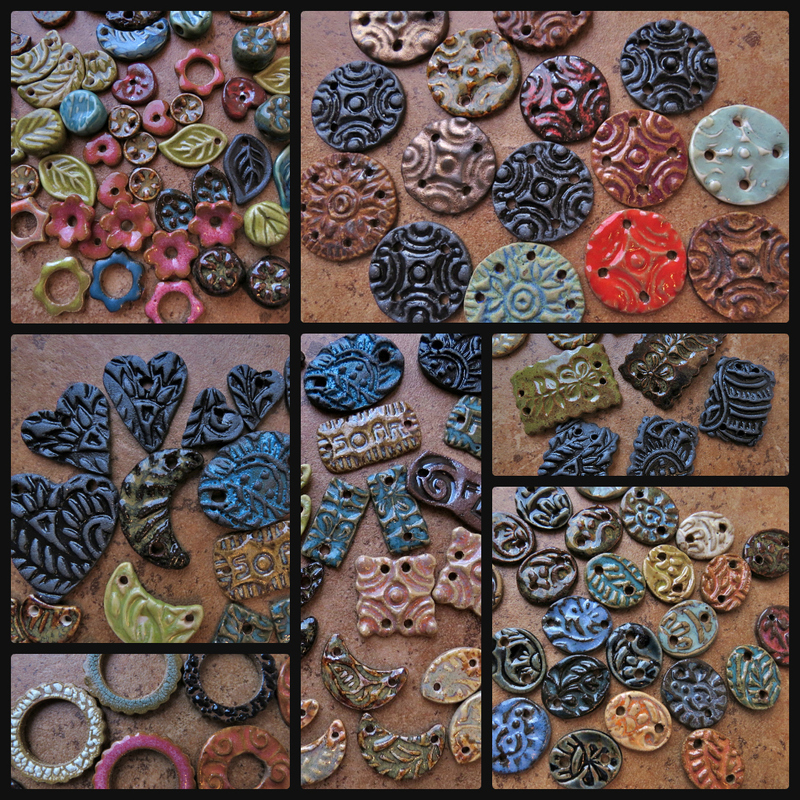 I've been very busy trying out many new ideas, new forms and new glazes. Over the next couple of weeks, I will be posting new designs in my shop. Genea Crivello-Knable wrote up a really nice review of WoolyWire - you have to check it out. I'm still amazed at this woman's creativity - she is a wealth of ideas! 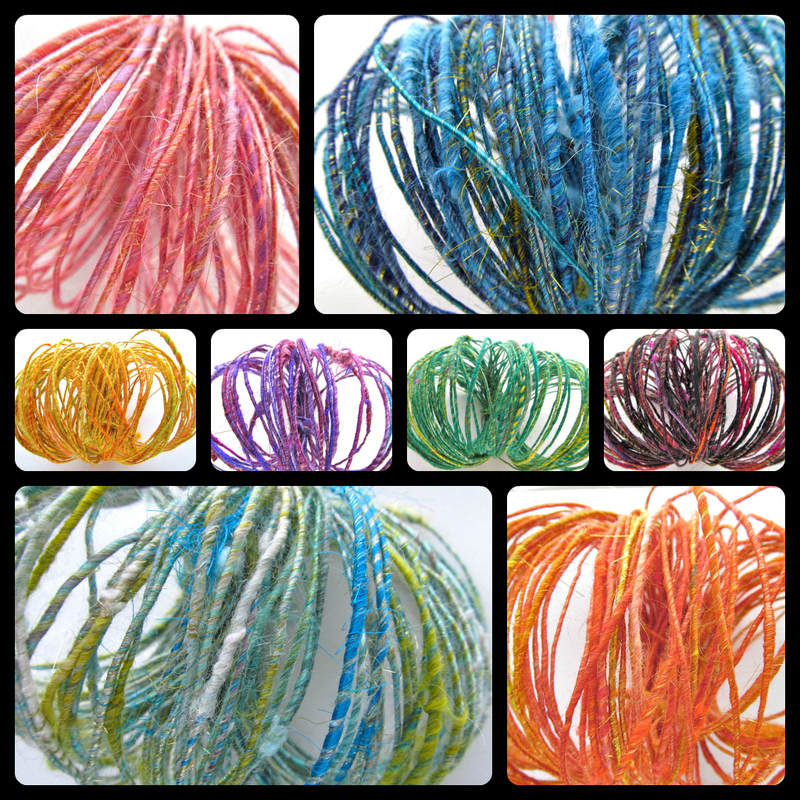 You can find the WoolyWire Review HERE. 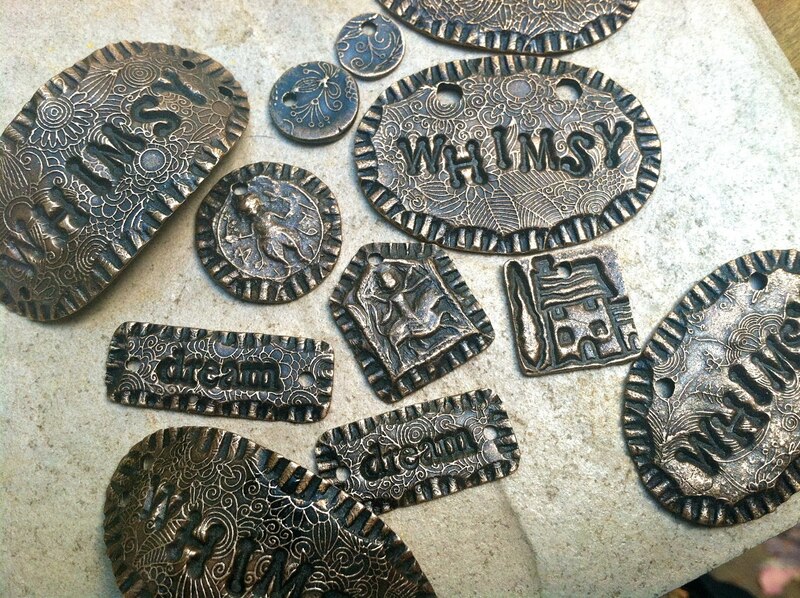 Meanwhile, here's a sample pictures of jewelry she made and wrote about in her review. 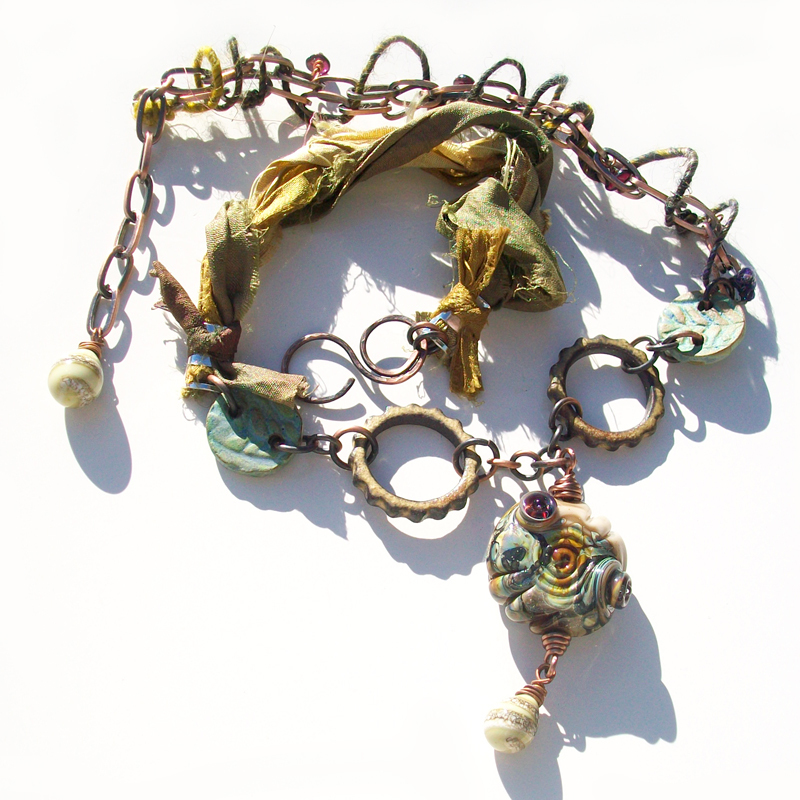 Genea Crivello-Knable created this awesome tutorial for finishing up WoolyWire in your jewelry-making projects - or any other projects you might use WoolyWire for!You can find WoolyWire here: http://www.etsy.com/shop/ktotten?section_id=11687894I literally copied this tutorial out of Genea's blog (with her permission of course!). 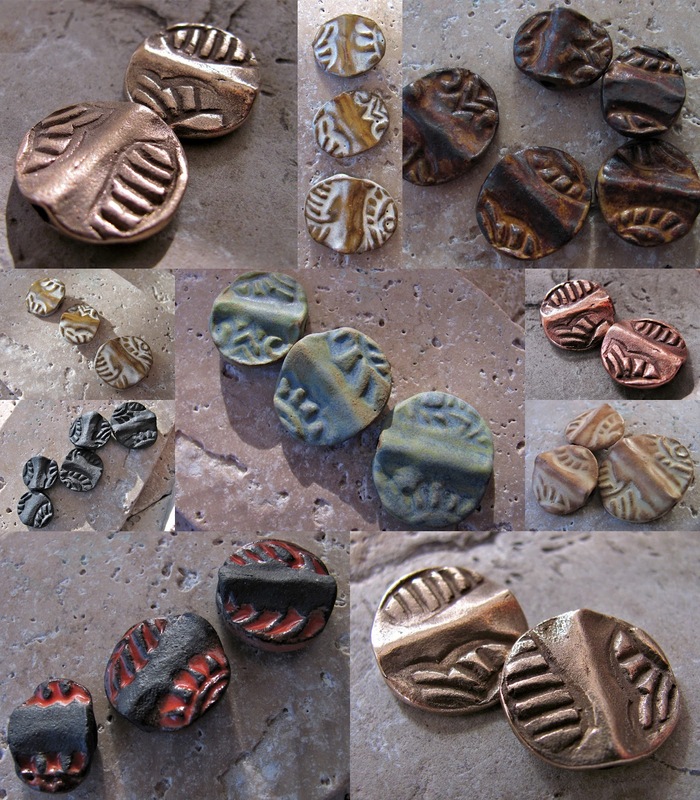 Be sure to visit her blog Genea Beads for all her other design happenings. Here is the card that comes with your Wooly Wire. So this tutorial is my interpretation of how to end the Wooly Wire according to the last instructions. 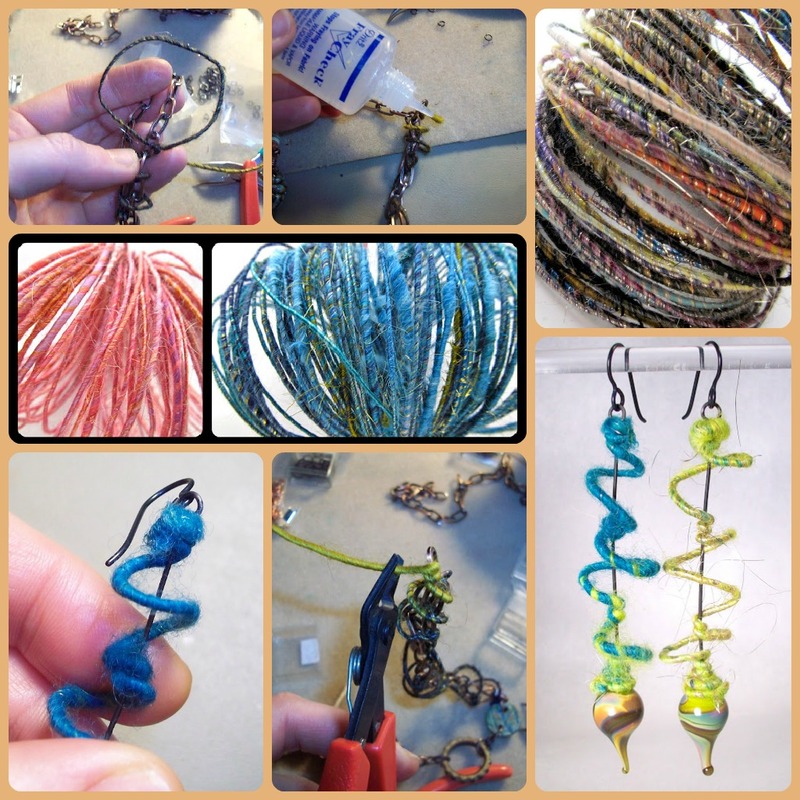 Here are a few tips for making your wire-wraps with Wooly Wire. As you begin to wrap your Wooly Wire(WW for short) you can wire wrap it just like you would wire wrap any wire. The nice thing about ww is that unlike "naked" wire it won't get snagged and cause a kink in the wire. When you do your wire wraps for ww I have found that if you need to thread your wire through something like a link of chain you see here you want to thread it in a circular motion. This motion will help you easily maneuver your wire where you want it to go for your wraps. So begin with a nice loose circular loop like this as you begin to wire wrap. As you get closer to doing your wrap your circle will get smaller and tighter until you can pull it snug into a wire wrap. If you would like to make a nice circular "cork screw" looking wrap around chain or other materials you can easily bend the wire around your finger and shape it until the desired look is achieved. Here is an example of the "Cork Screw" type wrap about which I am talking. Now onto the ends and finishing your end of Wooly Wire. When you come to the end you will want to take your cutting pliers and snip yourself a little bit of a "tail." Longer than the tail you would cut if you were just wire-wrapping wire. Next you will take your fray check and add a dot to the end of the wire. Here you can see the wet dab of fray check on the end. Hold your piece with one and and with the other take the piece of fray checked ww and twist it "with the grain" of the fibers. You will know which way is "with the grain" because the fibers will get tighter as you twist. If you are not twisting in the right direction the fibers will puff instead. Next grab your round nosed pliers. Grab the end of the ww and turn into a loop. This will "lock" in the fibers and secure the wire. Now grab your bent chain nosed pliers and pinch that little loop you made to further secure the wire. Next using your chain nosed pliers "tuck" the wire wrap into itself to finish up the wrap like you would for a normal wire-wrap. Add another dab of fray check to the finished wire-wrapped end. You will have a little fuzzy from the end of the fiber wire. You can take your finger and now gently rub the fibers into the direction of the ended wire-wrap. You can let this try and then come back and add another drop of fray check and rub the end against the wrap if you still have some fuzzys that stick out. I hope this quick tutorial has helped you learn how to end your Wooly Wire! New colors and textures available in my shop now, under a NEW name: WoolyWire (tm) We changed the name because the name "FiberWire" is already is use by a fiber optics company!As part of our re-naming, we are introducing several new color ways. Enjoy! I'm really loving this super dark patina finish on bronze - something I happened upon by chance by leaving my bronze pieces in liver of sulphur overly long. I can back to find everything completely black like soot. I gently buffed off the high spots and really like the contrast and rich character I found. I then gently added some heat patina to deepen both the bronze highlight and sooty black patina areas. This added to the drama and I'm anxious to try more with this technique. A few new things I have been working on. I will be photographing and listing over the next 2 weeks.Enjoy! 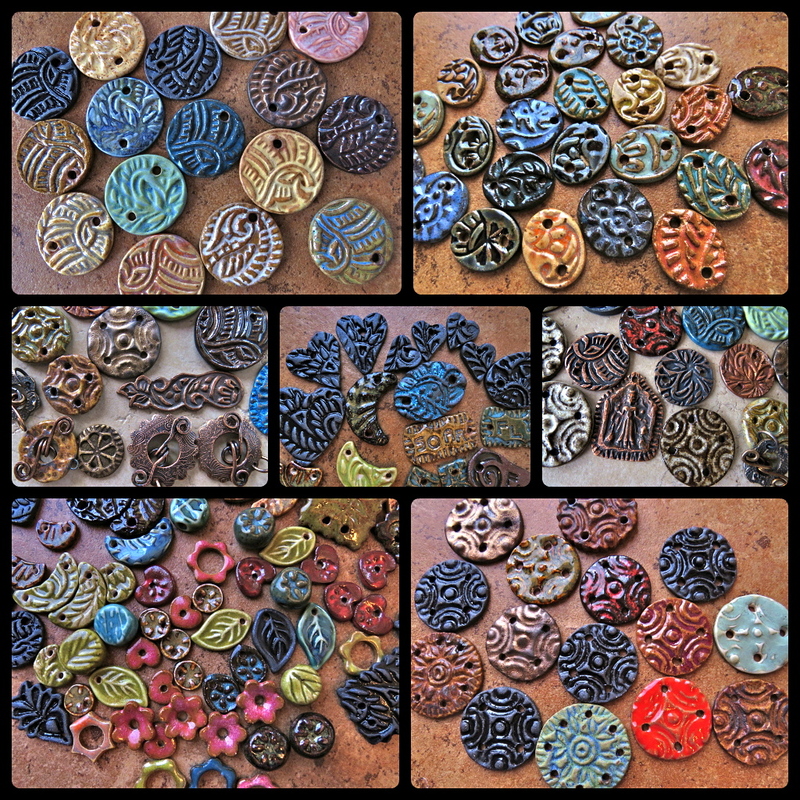 Look for these and other Clay and Metal Dings in the coming weeks in my shop, including Copper Dings and Bronze Dings with color patina!